Ever thought of getting into coaching? 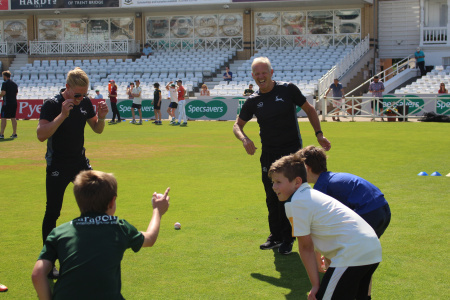 Notts Cricket Board's 2018/19 Coach Education courses are now available for booking. Courses are filling up fast, but there are currently still spaces on all Level 2's and Coach Support Worker Courses. Coaches play a vital role in enabling players to reach their potential. The ECB Coach Education Programme offers a range of courses to suit you and your aims - whether you want to coach young people & adults, or children (or both). The courses will help you understand players and their needs, increase your coaching knowledge and improve your practical coaching skills. This will help you improve players’ experience of the game and help you help players be the best that they can be. Find out more about which course would suit you best with the ECB's website. If you have a specific query about one of our coaching courses, please email alan.harrison@nottsccc.co.uk or call 0115 9823000.